Why not visit our showroom in Warrington Cheshire.? 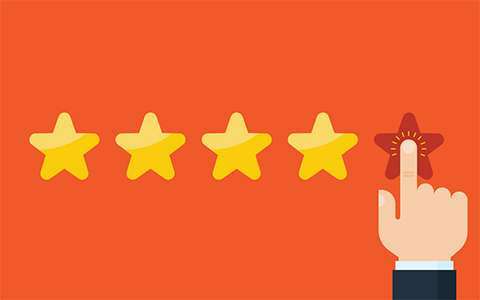 CALL US ON 01925 732751 TO ARRANGE A VISIT. 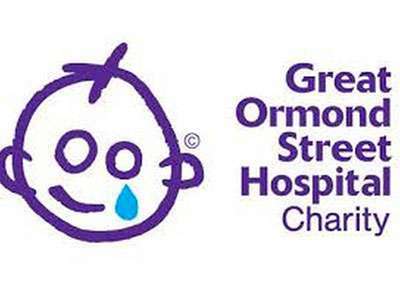 We are donating £5 to Great Ormand Street for every customer review or photograph that we publish on our website. 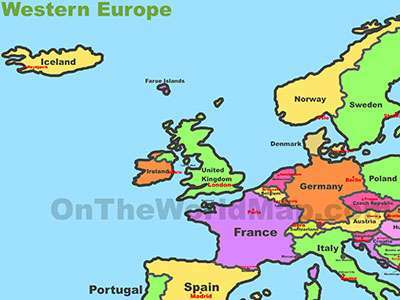 Help us to help them. Top quality reclining sun loungers on wheels for easy movement and with 4 different backrest positions. These loungers will last you for many years and you can leave them outside all year round. Deep filled cushion in a choice of colours included. 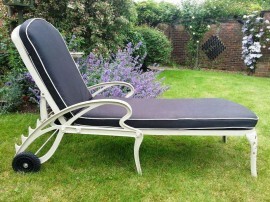 Cast Aluminium Sun-lounger including free cushion Reduced from £455 to £329. Details; Dimensions; 200cms x 55cms. Weight; 23kgs Thick padded lounger cushion (8cms) in a choice of 4 colours. 4 different reclining positions. Matching coffee table 45cms x 45cms x 35cms available Rubber adjustable ..
High quality sun lounger cushions with a generous 8cms of thickness. Choice of colours. 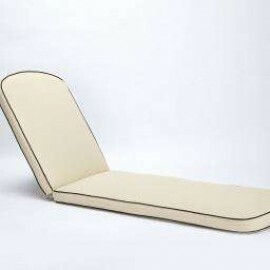 Our sun lounger cushions measure 195cms x 55cms and have a thickness of 8cms. The distance from the centre top to the fold is 75cms. The distance from the centre bottom to the fold is 120cms. They are double piped. The filling is a high density fibre.. 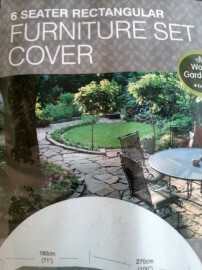 Protect your garden furniture with our high quality covers. 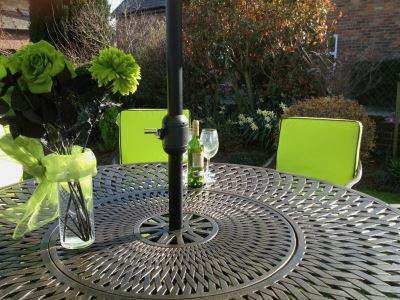 Why not treat your patio furniture to a really nice high quality cover to keep it clean over the winter. If you have wooden or rattan furniture, the cover will also help to protect it from the elements. We have recently introduced a range of furniture covers to fit all of the differ..